There is plenty of literature available, both in print form and online, prior to every race meeting and so it is important to do your research into races that you are betting on. That might sound daunting to the first-time race-goer and it always helps to have a colleague who can explain things, but stick to the basics to increase your chances of success. Race cards to the uninitiated may as well be written in Chinese but the important part is to check out a horse’s form. Has it run well recently, how long has it been off the track and does it run well in certain conditions? The underfoot conditions are all-important as horses, both on the Flat and over the jumps, tend to prefer certain conditions. Quite often trainers will withdraw their charges on the day of a race if the going does not suit and make sure you research whether your selection likes to ‘get his toe in’ or prefers it fast. The term course and distance is one that novice punters need to get familiar with as it is a decent guide to a horse’s chances. Previous success round a certain venue does not always guarantee success but it shows that the animal is content at the track, while having the same jockey on board is also key. It needs to be remembered that selecting a horse to bet on is not an exact science and many favourites do not win, especially in the tough jumps races. 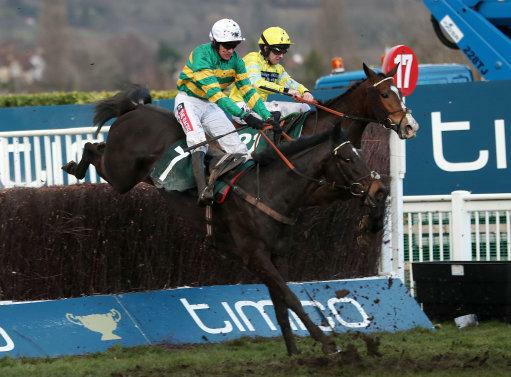 Meetings such as the Cheltenham Festival see the cream of the crop descend on Gloucestershire and it is a feast of top-class racing, but even short-priced favourites get beaten! Un De Sceaux went off at 8/11 in the Grade 1 Ryanair Chase this year and had his colours lowered by 8/1 shot Balko Des Flos. Punters had their fingers burned but the bookies were laughing all the way to the bank. It may be prudent to bet each-way when enjoying your first outing to the races as it increases your chances of getting a return. You pay double but are backing a horse to be placed, and it is always nice to see the bookmakers have to dip into their satchels, even if the return just covers your initial outlay. Maiden races involving horses that have yet to win are notoriously difficult to predict and so need to be sidestepped by those who are just getting into the sport, while betting on a horse because you like its name or the way it looked in the parade ring is a recipe for disaster and should be avoided. There will always be those who use the ‘pinstickers’ method of making a selection but, although racing experts are not always right, first-time punters should use whatever means available to narrow down the options.